As stated above, in Wikipedia’s definition of the word, it is a huge part of the culture. For clarification purposes Hyggelig is the adjective for hygge. This word is used to describe everything from homes, bars, snow, rain, sun, dinner, candlelight, the long spring days, and the list goes on. Anyone who has visited Denmark or has spent an extended period of time here is familiar with this word. Its part of every day life. Things AND people are “hygge”. For example, you enter a cozy restaurant, its “hyggelig” . If you go visit a friend at their home, its “hyggelig ”. A drink on a sunny afternoon along Nyhavn is “hyggelig”. Candles at dinner or while watching TV are “hyggelig ”. Walking through a blustering wind storm can be “hyggelig ”. It really is amazing how the Danes can turn even a gloomy situation into a “hyggelig” one. For that, I must give them credit. Maybe this is one of the reasons they are known to be the happiest people in the world. Now that you understand the meaning of Denmarks most used word, I’d like to share a few of my favorite “hyggelig” places in Copenhagen with you. Now one might say I am picky when it comes to Italian food. Well I feel that I have every right to be, being raised in an Italian family where my Nonnas cooked amazing Italian meals for the family every Sunday followed by my mother and aunts doing this on a daily basis. So yes I have set my standards high. When you walk into Mother not only do you get the aroma of the dough rising, the pizza in the wood oven, and the antipasti platters filled with cheeses, salumis and bruschetta (pronounced bru-sketa), passing you by but you also get a feeling that you are in the restaurant of true Italians. The majority of the staff in the kitchen, which is an open area right behind the counter as you enter, are speaking loudly in Italian, and this makes me feel at home. Why? Simply because I come from a loud Italian family. The pizza is quite amazing. With the doughy sourdough crust and the tomatoes tasting like they’ve come straight off the vine, you can just taste the freshness in the ingredients. They also offer a brunch, which makes me smile every time. This is a perfect way to try a variety of their pizzas as they are continually come straight out of the wood oven onto the buffet brunch table, piping hot. It’s also followed by sides of pastas, salumis, cheeses and traditional ‘old’ Italian dishes that I have only seen my dad make. For example, Pane Cotto (cooked bread). This is a dish with dry chunks of Italian, French or baguette bread, sautéed in olive oil, garlic and fresh zucchini. Every time he makes this dish its followed by him saying in our family’s Italian dialect, “This is a poor mans meal. It’s what we ate when we had nothing in Verbicaro”. For those of you who don’t know Verbicaro, it’s a little picturesque, charming, undiscovered town in Calabria, where my parents grew up and my cousins and I were fortunate enough to spend summers there with our grandparents. More of those stories to come later! 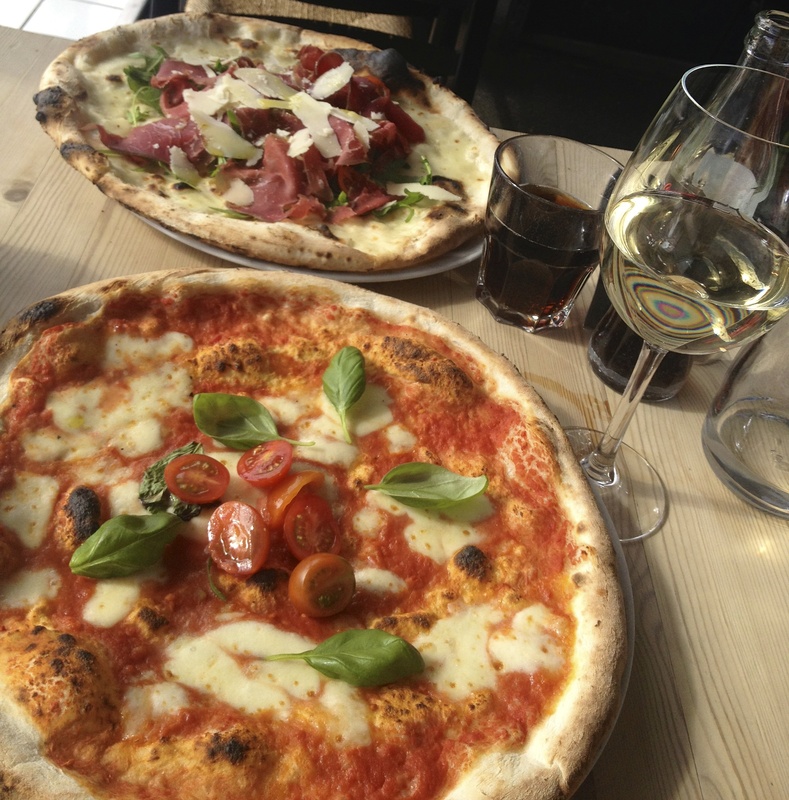 With that said, Mother is a casual and modern spot in Copenhagen that brings me back to my Italian roots every time. Its good quality food, great service and you’re guaranteed to have a “hyggelig” time. 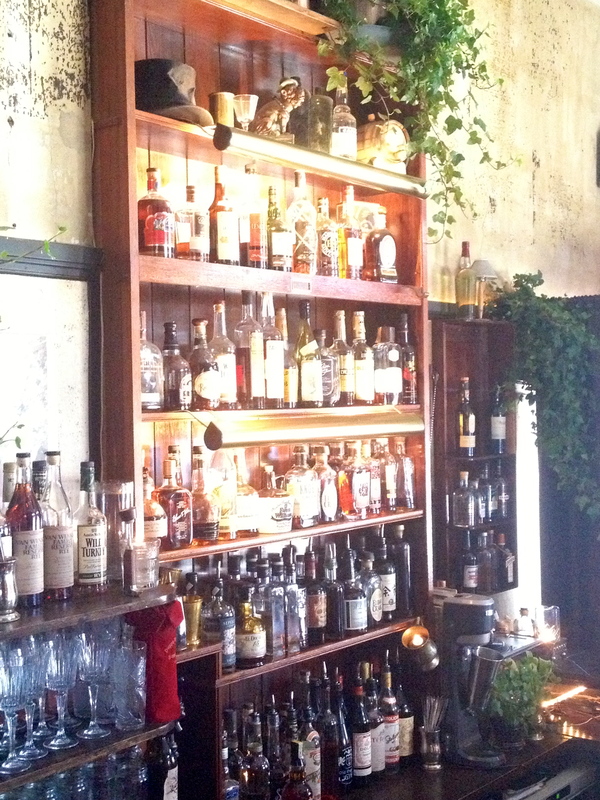 If you are a whiskey and rye connoisseur this is your place. Unfortunately that’s not me, but I have been known to enjoy a fresh cocktail. At Salon 39 the bartenders use quality ingredients, all of their juices are freshly squeezed and you can see the passion within them while making your cocktail. 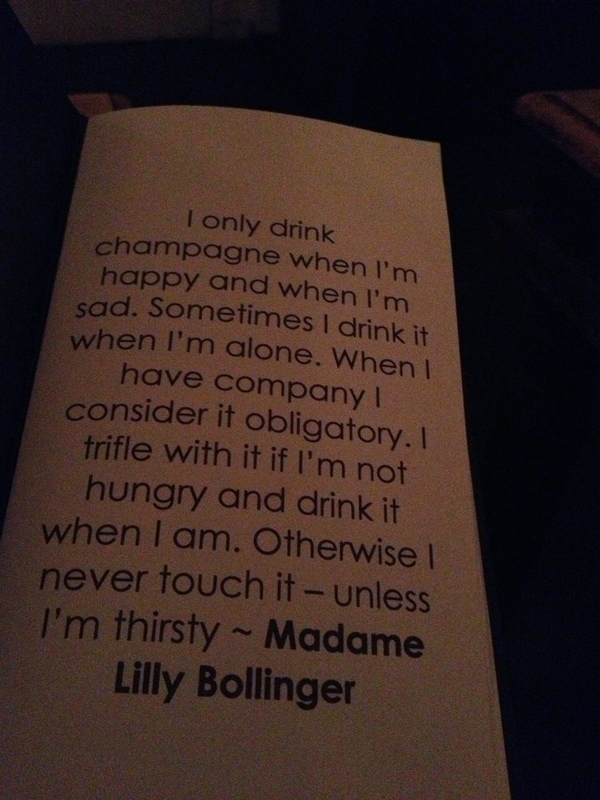 This always makes me appreciate drinks and food so much more. Speaking of food, it’s another good reason to come here. I never really thought I could write about a cheeseburger but this one is worth taking the time for. The 39 House Cheeseburger has so much flavor and deliciousness to it that I want to go back there as I think about it. From the bun with a slight crisp around the edges to the fresh beef burger topped with their smoked mayo makes for a delicious burger. If you are meat eater you will also appreciate their Bistecca Fiorentina, all 900 grams of it. Made to share you will definitely get your fill of protein. I can’t speak for this myself as I have never had it but Daniel and friends have enjoyed it and they seemed pretty content after their 450 grams each. Last but not least this place is the perfect description of “hygge”. When you walk in you first see the bar. It looks like a small venue but the further back you go the more tables there are although the places books up quickly. Walk-ins for dinner are rarely able to be accommodated so its best to make a reservation. If you are lucky enough to get a seat at the bar you can enjoy the view of the wall filled with whiskeys, while the bartenders are happily making the most interesting of cocktails and listening to jazz, soul and blues tunes spinning on the record player. It’s definitely a place to visit if you’re in town or planning a trip to Copenhagen and looking for a “hygge” atmosphere. 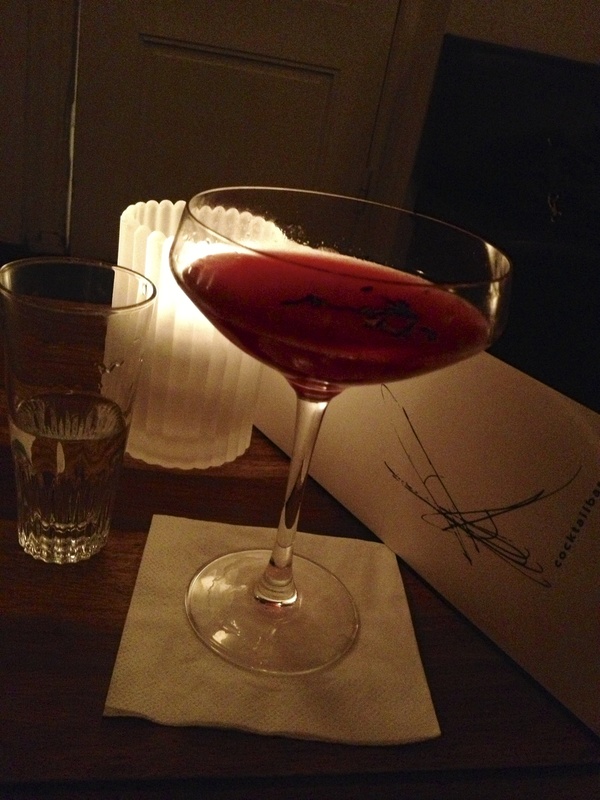 K-Bar exudes the “hygge”! It’s small and quaint with limited seating but it’s the kind of place you go to when you just want to catch up with a friend or that someone special. K-Bar offers cocktails, bubbles, wines, mocktails, and a variety of over a dozen martinis. If your drink of choice isn’t on the menu, just ask. It’s definitely worth a visit. As I said these are only a few of my favorite places in Copenhagen. Stay tuned for more!